DPS programs are unique because all teachers are ECE qualified in addition to having Colorado teaching certificates. 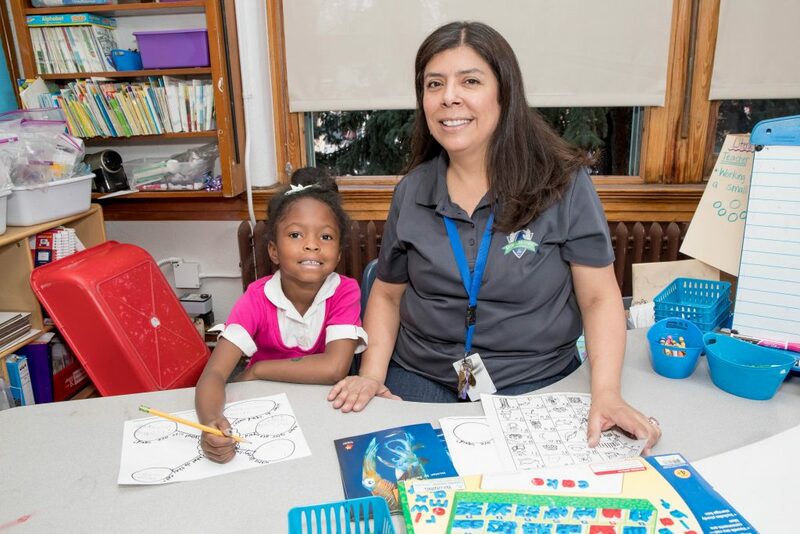 DPS teachers bring years of experience to the classroom and are supported by a strong, district-wide professional development curriculum. DPS prides itself on having only top quality teaching staff. In line with this commitment, DPS has established an intensive rating process approved by Colorado Shines, and all of its classrooms have achieved a level four or five, the maximum rating awarded. More information on the rating system can be found at the Colorado Shines website. All ECE classrooms in DPS are licensed by the Colorado Department of Human Services, Child Care Division, as childcare facilities. As such, all classrooms are required to comply with the Rules Regulating Child Care Centers and General Rules for Child Care Facilities issued by that department for classrooms and staff. In addition, ECE classrooms must be in compliance with the Rules and Regulations Governing the Health and Sanitation of Child Care Facilities issued by the Colorado Department of Public Health and Environment.